Aqualine Beauty & Day spa aims to provide relaxing therapeutic treatments for specific concerns, allowing your skin to glow with optimum health, giving your body the professional touch that you deserve. We are the ultimate beauty salon so call in today for an extensive range of spa, cosmeceutical, microdermabrasion & skin revision treatments. 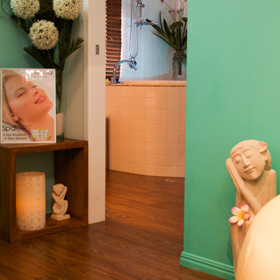 We are a well established beauty salon & are proud to have served Bundaberg for the past 8 years, providing results based advanced facials,spa facials, beauty treatments, microdermabrasion, body treatments and massages in our our "one of a kind" day spa. 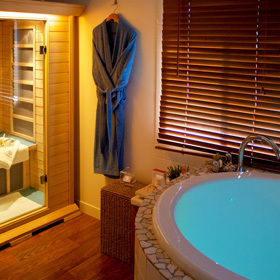 Aqualine offers not only tailored treatments but also a physical & mental getaway. Whether it's a jet spa experience or an Elixir experience wrap we have the perfect Bundaberg treatment for you! 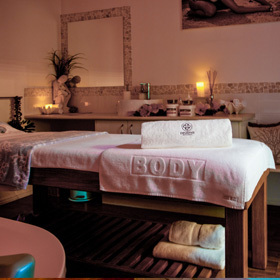 So de-stress with our fully qualified staff and float away on a sea of bliss… Pamper yourself a little… You've earned it! Our staff have years of experience and we provide the most extensive range of treatments across Bundaberg, We also pride ourselves in our dedication to not only our clients but also our treatments & education. 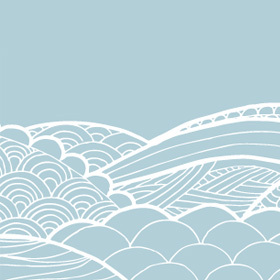 We have the finest selection of facial treatments for all skin conditions and concerns. 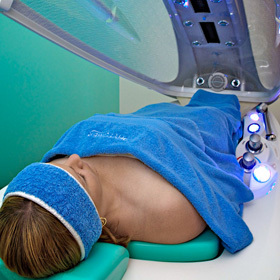 Whether you need skin revision or relaxation, there will be a treatment at Aqualine to suit you. Our Luxury Pedicure chair is designed to induce total relaxation. The roller massage system soothes away aches and pains whilst Hydro-jets massage, soften and cleanse the feet enhancing your wellbeing. In our Day spa, our luxury waxing treatments are conducted under the most hygienic conditions set by our government. Our pre-wax solution cleanses and prepares your skin; the process of waxing is completed with soothing post-wax lotion to soothe the skin and to remove excess wax. We do not re-dip or recycle our wax & we use disposable spatulas through out your waxing experience. We also practice the superior hair removal technique "Sugaring" which slides the hair out in it's natural direction. The sugar is also kept at body temperature which means its perfect for sensitive skins & there is no chance of burns. 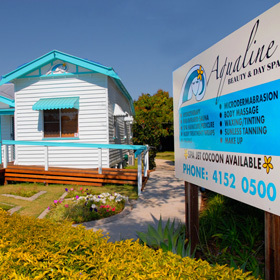 Whether you are a resident needing to unwind from your busy workload or a visitor wanting to experience the ultimate getaway revival, Aqualine Beauty & Day Spa Bundaberg gives you an extensive choice of products & treatments with that personal one on one service that will keep you coming back for more!